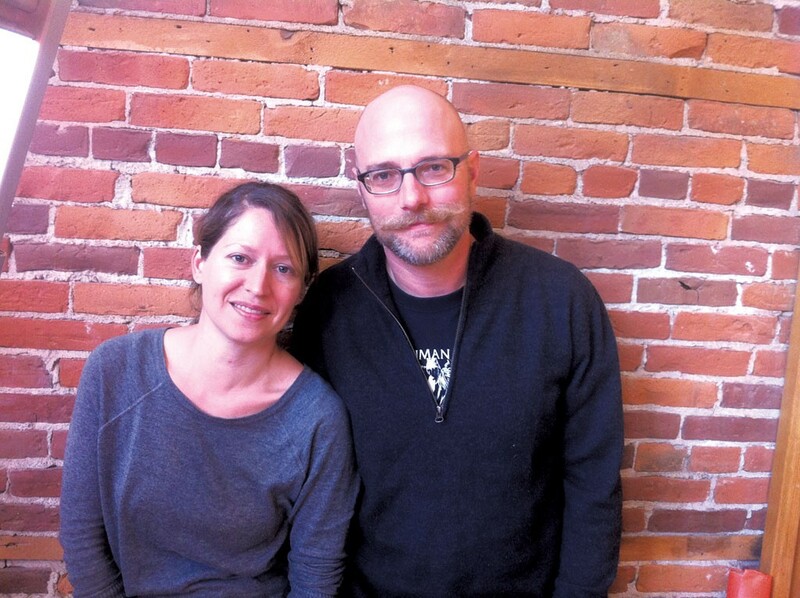 About three weeks ago, just before Burlington's Daily News coffee shop closed its doors for good, business and life partners Lisa Osornio and Matt Gress bought the tiny 125 College Street café. They plan to reopen it later this fall as Tight Squeeze Coffee Shop, where they'll serve espresso, brewed coffee, and baked goods and snacks for breakfast and lunch. Coffee will come from South Burlington's Earthback Coffee Roasters (formerly known as Woodchuck Coffee Roasters), where Tony Basiliere slow-roasts coffee from around the world. "He does really small batches, and it's a really meticulous roast," Osornio says. "You can tell by the taste." The pair recently relocated from Boston, where Osornio ran a hair salon and Gress worked as head projectionist at the Coolidge Corner Theatre. Osornio owns a home in the Northeast Kingdom, and both say they were ready to leave the city. "Boston is too mainstream, too commercial for us to do what we wanted to do there," Osornio says, leaning on a ladder inside the shop on a recent afternoon. In Beantown, they say, everything — coffee service included — is so fast-paced that they'd have to cut corners to make a similar business work there. "Everything's about volume and efficiency in Boston," Osornio says. "You need to work toward the lowest common denominator." At the moment, there's not much to see: All remnants of the old shop are gone, and Osornio and Gress are working on a total renovation. But both say they've got big plans for the small space. "People that know the Daily News aren't going to recognize this place," Osornio says. "I'm not going to recognize this place!" The original print version of this article was headlined "Daily Buzz"